Only a professional plumber can fully satisfy your need for expert plumbing solutions. Our skilled plumbers at OC Plumbing Pros will not disappoint you. Give us a call when you find yourself in the middle of a plumbing crisis you cannot handle. Our Laguna Woods plumber will respond immediately to your call for plumbing repair or periodic maintenance. When plumbing problems are detected at their earliest stages, it prevents the issue from becoming a bigger, more expensive problem. Our service vehicles are equipped with all the necessary plumbing tools, plus replacement parts, so our personnel can perform the required service right there and then. This helps keep our overhead expenses down, and enables us to maintain the cost of our services at a minimum. Call us the very first moment you suspect that something is wrong with the pipes. Call us 24/7 at (949) 371-8413. Easy Hot Water Heater Installation and Repairs by a Plumbing Company: While in your home, allow us to check if your water heater can fully serve your requirements. We understand how you will feel when your water heater is in trouble. Sometimes, all it takes is just a simple repair job. Nevertheless, before you start shopping for a new unit, have our team over to check if repairs can still be done or if purchasing a unit is imminent. When your water heater breaks down, homeowners can only groan in exasperation. When your water heater is damaged, you immediately think about buying a new one but it’s recommended that you let us look at your damaged water heater first before you make a decision. Drain Cleaning Services To Keep Drains Open: Take comfort in knowing that we have the latest equipment, including a state-of-the-art camera that captures the image through the drain, enabling us to effectively and safely remove the clog, whatever and wherever it is. Homeowners tend to overlook the importance of clean drains, until water backflows, refuses to go down the drain, or if at all, is slow to do so. These effects of a clogged drain can be annoying and unhygienic. Detecting and Repairing Hard-to-Find leaks: Some leaks, just like slab leaks, for instance, may be hidden somewhere in your Laguna Woods property, and they can be difficult to identify, so save yourself the hassle and call on our experts to determine where the leaks are, and make the necessary repairs. This is why it matters a lot to find out where the leaks are coming from. Rusty metal pipes and water pressure flow create the perfect storm for a bursting pipe. Then you really have a problem on your hands. Don’t wait for the problem to worsen; call us now and our modern detection tools will be able to pinpoint the leak even without breaking your walls or floors first. Emergency Plumber Laguna Woods – Call Us Now! We Will Handle Your Re-piping or Pipe installation Needs: For guaranteed results, choose us, a company you can trust to tell you, with all honesty, what you need exactly. 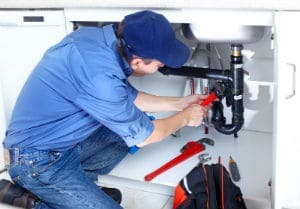 Our plumber is as competent in this area as he or she is in installing or fixing a problematic garbage disposal system. Sometimes, it can be tempting to just DIY the repair job, but mind you, this kind of work is not for those with limited skills, knowledge, and tools. Building code requirements in Laguna Woods mandate that you hire licensed professional plumbers to lay down the pipes in your house or office. Protect Your Family, Repair Broken Toilet Immediately: One of the worst things that can happen in the home, workplace, or any establishment, for that matter, is when a toilet breaks down. We at OC Plumbing Pros always strive to be as less intrusive as possible. Take confidence in our team because we have the capability to deal with your “toilet” situation immediately, no matter how bad it looks. Contact us immediately so we can help protect your family from harm. 24-Hour Emergency Services Only Here at OC Plumbing Pros: We recommend that you call us the moment you sense that there is something wrong with the way your plumbing system works, so we can take immediate action before the problem blows out of proportion. Nobody can predict the future, and so you can’t really determine when your plumbing system or toilet breaks down. We, at OC Plumbing Pros, realize that plumbing emergencies can catch you off-guard, thus we make sure to be around 24/7 to render the necessary assistance. Connect With Our Plumbers Today! Give our high-quality Laguna Woods plumbers a call and you will understand why we come highly recommended in the area. We never tolerate mediocrity in everything we do, and especially in the way we deal with our clients. Please understand however that while we can give you a price quotation, the estimate may change depending on the results of the ocular inspection. Call our plumbing contractors today at (949) 371-8413!